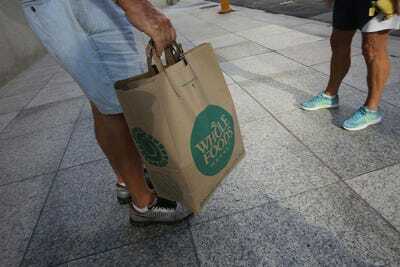 Joe Raedle/Getty ImagesAmazon indicated in a job posting that it would start offering pickup service at Whole Foods. But it sounds as if Amazon‘s pickup service could differ from those retailers by allowing shoppers to order goods from third-party retailers. It makes sense for Amazon to give shoppers the option of picking up their groceries as well, cutting out one extra step – and cost – for Amazon.